The Classical period refers to an era that started around 1750 and includes composers like Haydn, Mozart and Beethoven. Also active in this period were Rossini and Paganini. Everything we play on Classic FM is 'classical music', music that's distinct from pop, jazz, or folk music. But the Classical era in the history of music specifically refers to the period when composers such as Haydn, Mozart and Beethoven were active, championing the symphony, composing comic operas, and developing the piano sonata. This new musical style coincided with the Age of Enlightenment, a time of radical change in social values focused on human rights and freedom of religion. Its architectural style was reminiscent of ancient Rome and Greece - hence the term 'Classical'. Orchestras went through great changes: harpsichord or organ were no longer their musical foundation and wind instruments such as the horn, trumpet, clarinet, flute and oboe joined the strings to create a new, distinctive sound. The orchestral set-up led to the era's most important type of music, the symphony. It developed rapidly at the beginning of the era, moving from a standard, strict three-movement format with a quick opening, a slow middle movement and a quick one to finish, to become an expansive four-movement vehicle for orchestral expression. Along with the orchestra came the string quartet, consisting of two violins, a viola and a cello. The works are themselves called ‘string quartets’ and follow a standard, four-movement format reminiscent of the symphony. The piano was also introduced during this period. The most important solo pieces of the Classical era were sonatas, written for any solo instrument but most notably composed for the piano. The Classical era was dominated by its two greatest composers, Haydn and Mozart, who worked in Vienna. Haydn composed fantastic choral, operatic, orchestral and instrumental music - but the symphonies were his greatest achievement. In the last years of the 18th century came Beethoven, who started writing music in the style inherited from Mozart and Haydn. He eventually outgrew it, and split apart the Classical style at the seams, marking the dawn of the Romantic era in music. 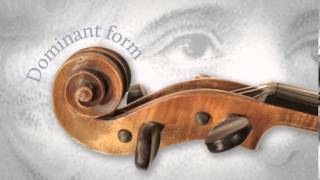 What was Mozart doing at your age?